Green Environment cleaning is a interdisciplinary distinct 'Luxury Home Cleaning Care' service provider. 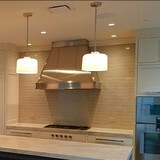 We provide our personalized 'Absolute Green' deep clean treatment of vacant and occupied homes as well as our famed Post Construction Cleaning on newly renovated residences typically ranging up to 10,000 sq ft. Our client base is comprised of private customers, renovation contractors and elite Architectural design firms - as our fanfare services compliment many of their finishing projects. We take a personal approach for the more quality driven customer who prefers a company that understands the delicacies of their High-End' amenities, provides sublime services as a standard and places clean air as a priority concern. Using an earth-friendly cleaning process coupled with the right materials and HEPA vacuums we ensure optimum value for our clients cleaning investment allowing us to become most sort after in the space of luxury home cleaning care. Categorycleaning service brooklyn,affordable cleaning service,carpet cleaning DESCRIPTION"Mindys cleaning nyc knows that first #impressions count and so do second and third impressions and every impression after that. Mindys cleaning brooklyn offers general facilities cleaning and building maintenance services with the goal of helping your business make a great impression, every time. At mindys #cleaning nyc, we understand the trust people place in us to make their offices and facilities make that good first impression and set a standard for each visit after that. We work with our clients to turn their office into a shining #business and keep it that way. Mindys business cleaning bkny, office cleaning, and building maintenance services are guaranteed to be a thorough cleaning each cleaning. We strive to improve the look of any facility and provide clients with the confidence they deserve. Our, #employees are trained to give your #office or facility the most thorough cleaning it has ever had, every time. Mindys cleaning nyc delivers the service you expect, with the integrity you deserve. office #cleaning service bkny, #affordable cleaning service nyc, affordable store cleaning service, nyc cleaning service, manhattan office cleaning service, glass cleaning service bkny, office cleaning service #bensonhurst, office cleaning service #sunsetpark, office cleaning service #bayridge brooklyn"
Affordable cleaning offers general facilities cleaning and building maintenance services with the goal of helping your business make a great impression, every time. At Affordable cleaning nyc, we understand the trust people place in us to make their offices and facilities make that good first impression and set a standard for each visit after that. We strive to improve the look of any facility and provide clients with the confidence they deserve. Our employees are trained to give your office or facility the most thorough cleaning it has ever had, every time. Affordable cleaning nyc delivers the service you expect, with the integrity you deserve. Lazy Susans provides one time or recurring standard and deep cleaning, move-in/move out cleaning, Airbnb turnaround cleaning, organizational and de-cluttering services. We are committed to our five star rating and have worked very hard to maintain this status. What differentiates us from our competitors is that we work around our cleaners by booking cleans when they are available, we pay our cleaners the best in the marketplace, you can always book the same cleaner and we are extremely punctual, trust worthy and reliable. All you need to have is a mess, and a vacuum. We will do the rest! Have a laundry room onsite? We'll take care of it for you, too! 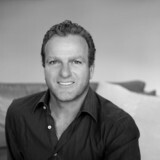 Lazy Susan’s Cleaning was founded quite by accident, by an Aussie guy named Mihalis (Michael), who needed extra cash to survive in New York City. He arrived in the Big Apple in 2014 to launch two start-up companies which unfortunately didn’t go to plan, and all the stories he’d heard about what this city can do to one’s confidence soon became a reality. NYC - Manhattan, Brooklyn & Queens - Cleaning starting at $73.49. 50% OFF your first home clean when you sign up for a cleaning plan or $10 off a one time clean use promo code LS$10OFF at checkout. Running out of finances, New York quickly became a very hard place to live. So, with very little savings left, Michael gave up his apartment, sold his furniture, moved in with friends, and turned to house cleaning to make cash – as he was determined to make it here. His honesty, extremely high work ethic, obsession with perfection (because yes, cleanliness is next to Godliness) and typical Aussie humor quickly created such demand that he needed to hire additional cleaners. Crazy, right? The rest is, as they say, history and hence the birth of Lazy Susans Cleaning Service – ready to keep your house clean and organized, and you stress-free. Lazy Susans assures you a sparkly clean, organized home as often as you need it. On your schedule, and done to perfection by a meticulous, trustworthy staff who are as obsessed with sparkly clean as Michael. So, book a home clean or other service online today and have a cheerful, reliable Lazy Susans professional at your door in no time, so that you can get on with your life. We got you! We have been serving the Westchester and Fairfield County área for over 10 years. Great references and recommendations. We strive for customer satisfaction and are committed to perfection and excellence. We are very Mindful of our customer interests. We want to develop a long lasting relationship with our customers. We take pride in being honest, reliable, professional. Our attention to customer needs is what sets us aside from the rest. 100% satisfaction guaranteed. Family owned and operated buisness. Since our inception, total professional cleaning has been focused on building a strategic quality service not limited to professional cleaning,When you’re in the market for professional cleaners, you’re looking for someone to give you an affordable and reliable clean home or office space you want, worry-free. With our New York based owned and operated office, you will experience attention to detail, an open line of responsive communication and a commitment to your satisfaction. One price policy with no hidden or extra charges. We pride ourselves on being a service that you can count on when you need us most! Our goal is to provide NYC with the highest quality, all-inclusive commercial and post construction cleaning services. Reliable, hassle-free cleaning services—and yes, this means all staff, all tools, and all Green Seal-certified products included, at any schedule or frequency, topped with on-site oversight. The services that we offer are: Startup Office Cleaning Corporate Office Cleaning Post Renovation Cleanup Post Construction Cleanup Retail Space Maintenance Cleaning One of our objective is to please you with the quality of our service. We do more for you, than what is expected of a typical cleaning service. Mark is the business owner of First Tier, a home organizing and cleaning company that has helped over 450 clients get their lives in order. Mark enjoys helping people with chronic and situational disorganization break free from clutter and take back control of their home environment. First Tier's expert house cleaners are friendly professionals who make sure our clients' maintain an orderly and spotless home. We at First Tier always strive for excellence and look for new ways to better serve our clients. 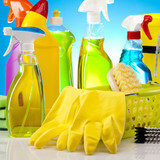 For more information, please find us at ftorganizingcleaning.com. All American Junk Removal, Inc.
All American Junk Removal, Inc. is Westchester County’s premier junk removal company. Whether you are looking to haul away construction debris, de-clutter a room, clean-out a house or simply remove some items from your office, we handle it all. We focus on job-site efficiency and environmental sustainability. That’s why we offer same and/or next day service and practice responsible disposal methods. Polish Care Services offers cleaning and caregiver services. We take pride in our experience, expertise, quality, and customer service we provide to meet the consumers needs. We provide excellent workmanship and complete customer satisfaction from start to finish of a project. To understand the needs and meet expectations of our customers, we take care to work and communicate with every customer in a professional manner. Our reputation is based on service, safety, and quality, regardless of how large or small the job. Our Cleaning Services includes Residential Cleaning Commercial Cleaning Office Cleaning Health Facility Cleaning Apartment or Multi Housing Cleaning Vacancy Cleaning Deep Cleaning Seasonal Cleaning Move In / Move Out Cleaning Our caregiver service includes Senior Care Disable Care Live in Home Care Personal Care Services Companion Care Hourly Care 24 Hour Care Overnight Care Alzheimers and Dementia Care Housekeeper Services Sitter Services. See if we are near your area! House cleaning services, Big or small, we do it all! Homes, Offices, at reasonable rates. We work hard so you don't have too! Call or text me anytime to discuss your cleaning needs. 860*309*3473 We have excellent references, pay attention to details, trust worthy and honest. Discounts are available. We clean, weekly, bi-weekly, monthly or one time cleaning. All cleaning supplies are available if needed. I use organic/ plant based cleaners that are safe for children, pets, and the environment. I am insured. Give us a call and you will see why we are "The Cats Meow"
Our mission is to clean residential/commercial areas and restore their original state of cleanliness and utility. We focus on quality. We don't cut corners, we clean them. We may not be the cheapest option in the market, we do however guarantee we'll deliver our highest level of craftsmanship when providing cleaning services. As Warren Buffet wisely said, "It takes twenty years to build a reputation and five minutes to ruin it. If you think about that, you'll do things differently." We think about that; this this why we'll do our best to deliver on our promise, which is to provide a great Cleaning Service. This is us, SABI Cleaning, a family in the market. What should I expect from a house cleaner in Bedford Hills, NY? Most professional Bedford Hills house cleaning services will do the same tasks for a basic residential cleaning job: clearing dust and cobwebs from all surfaces and fixtures; wiping all surfaces, including sinks, tubs, counters mirrors; cleaning tile; vacuuming and mopping. You may want to have different rooms detailed at different times, so ask about doing a rotating schedule if you want them to pay extra attention to each space (like kitchens and bathrooms) every other cleaning. Some house cleaning companies in Bedford Hills, NY will also offer additional services such as window washing or appliance cleaning, so ask about incorporating them into your deal or doing them as a one time thing if you’re interested. Pick up any clutter (laundry, toys and other gadgets) and put pets in a secure spot so they feel safe and don’t get in the way of the Bedford Hills house cleaning company. Put out any specific cleaning products or tools you want used, and make sure to lock up any valuables that you don’t want disturbed. Most housekeeping services in Bedford Hills, NY will enter with a spare key or garage code, but if that isn’t something you’re comfortable with then you should arrange for them to come when you are home to let them in. Typically Bedford Hills house cleaners expect payment at the time of cleaning, so ensure you have the appropriate form of payment (cash, check or credit card) on hand, plus a little extra for tip if that’s your style and they do a great job. 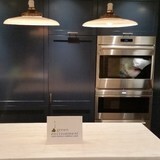 Find Bedford Hills house cleaning services on Houzz. Narrow your search in the Professionals section of the website to house cleaners in Bedford Hills, NY and contact local companies to ask questions and get quotes.